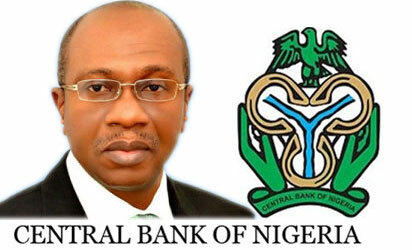 The Central Bank of Nigeria (CBN) has slashed the rate at which it was selling dollars to Bureau De Change (BDC) operators nationwide. Aminu Gwadabe, president, Association of Bureau De Change Operators of Nigeria (ABCON), told the News Agency of Nigeria (NAN) in Lagos on Tuesday that the buying rate for BDCs would now be N350 and selling rate would be N360 about 10.8 per cent slash to the dollar. NAN reports that before now, BDCs were buying dollars from the CBN at a forward rate of N381 to the dollar and selling at N399 to the dollar. Mr. Gwadabe commended the CBN for heeding the appeal of BDCs for a level playing field for all players in the foreign exchange market. The ABCON chief pledged the commitment of all BDCs in collaborating with the apex bank to sustain the gains recorded by naira against the dollar. The BDCs had on Monday said they will not participate in today’s $25 million weekly dollar auction by the Central Bank of Nigeria (CBN). The President, Alhaji Gwadabe said market fundamentals, including the current selling rate of $381 to dollar do not favour the BDCs when International Money Transfer Operators, IMTO sells below the rate when the Apex bank pegged rate at N360 to the dollar. The CBN has injected close to $2 billion since it started its intervention in the foreign exchange market five weeks ago.